Oregon's military heritage goes back thousands of years, including native people's warrior traditions. Most of the cultures in this region were relatively peaceful, even welcoming visiting strangers, such as the Lewis and Clark overland Army expedition in 1805–1806. Then, overwhelming numbers of fur trappers, merchants, settlers, and miners began taking over traditional native grounds. From 1847 to 1880, native peoples experienced eight major conflicts with Army and volunteer forces. Army units built several forts from Oregon's coast to the Great Basin. 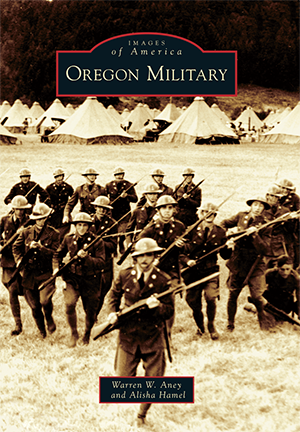 Oregonians adopted militia laws, served in volunteer units, and organized the Oregon State Militia, which became the Oregon National Guard in 1887. The Guard benefited the state in many civil-support actions and served the nation in major overseas conflicts from the Spanish-American War to the current Operation Enduring Freedom.